Mundo Alpaca is kind of an unusual spot in the center of Arequipa. If you haven’t been, Arequipa is the second largest city in Peru. Mundo Alpaca is one of the sights listed on Tripadvisor. I really didn’t know what to expect and I think I was expecting a farm of some sort, but it’s more petting zoo sized. 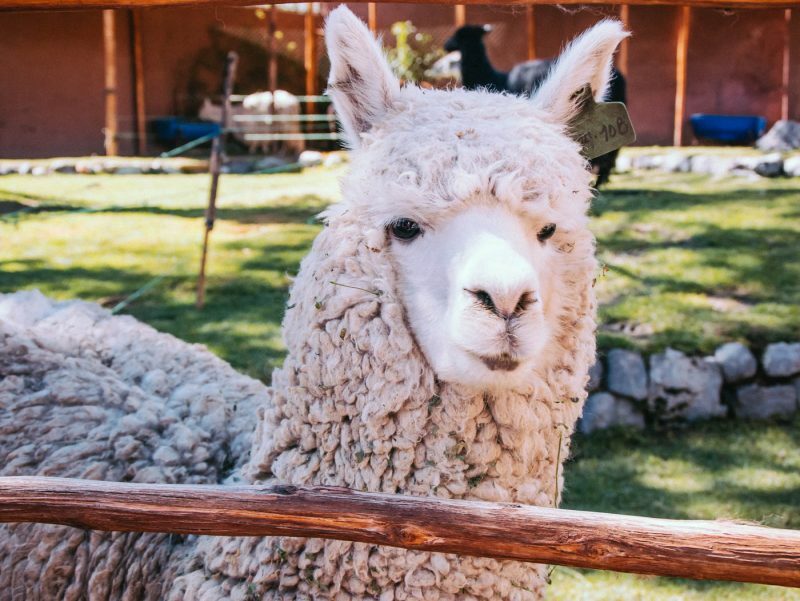 It’s sort of a mini-museum dedicated to the making of alpaca clothing, that also has some live alpacas and llamas. When you go in, the first thing you will walk through is a bunch of nicer shops like Sol Alpaca selling real baby Alpaca sweaters, scarves and shawls. There are also vicuña products. If you don’t know much about alpacas vs. vicuñas, Mundo Alpaca is the spot to find out a little more. So you can see some panels describing the animals further in. But, I won’t keep you waiting. Alpacas, llamas, guanacos and llamas are all brothers from another mother. Camelids – that’s the scientific name. 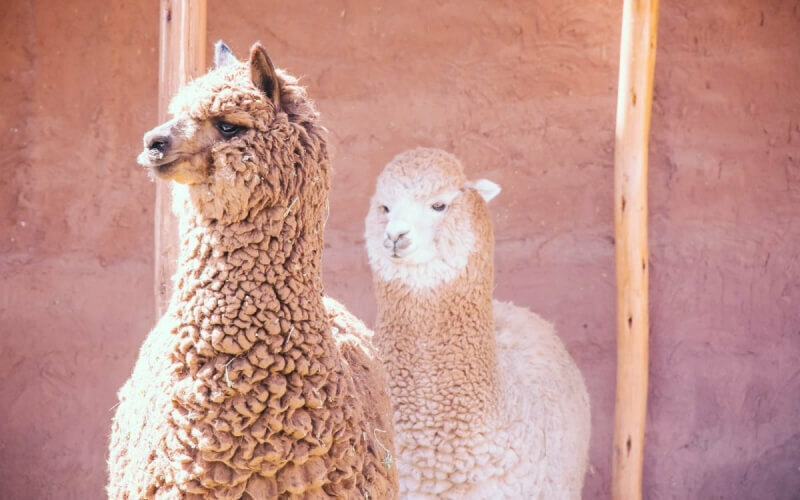 Alpacas and vicuñas have the best hair for making garments, with baby alpaca being fine and silky and vicuña being some of the finest fibers in the world. A sweater from vicuña can run you a several hundred dollars. Anyway, why am I reviewing clothing shops? Well I’m not, because behind the stores, there’s a little fenced off area where you can see some of these adorable animals! The area is quite small, basically like a yard, so don’t expect a field of llamas. 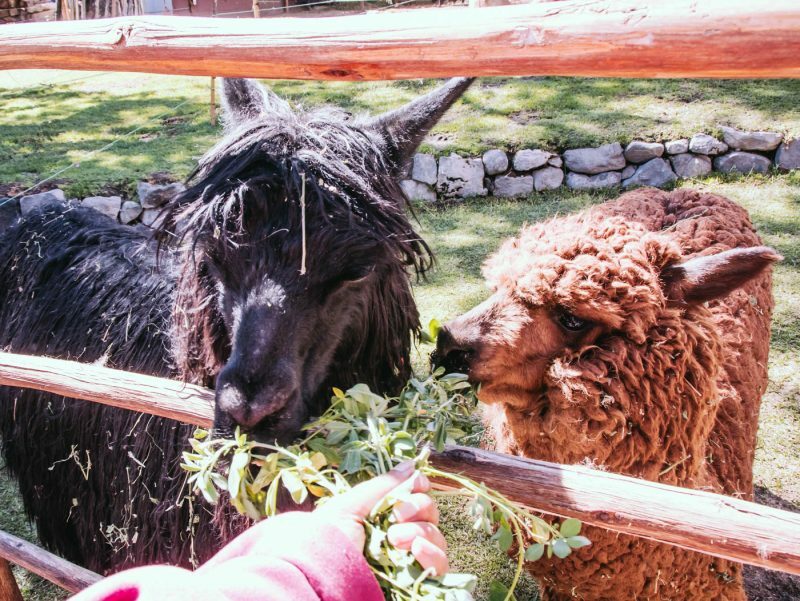 If you want to legit see alpacas and llamas in their natural environment, definitely visit the area around the beautiful Colca canyon. But it’s a nice opportunity to see the animals, right in the city and really close up. If you stay for a while, their keeper will sometimes come out and hand you some leafy stalks to feed these guys with. It’s pretty fun getting a chance to feed them! Once you get over the awesomeness of these animals, head on inside the nearby building to see the way the fibers are processed and woven. 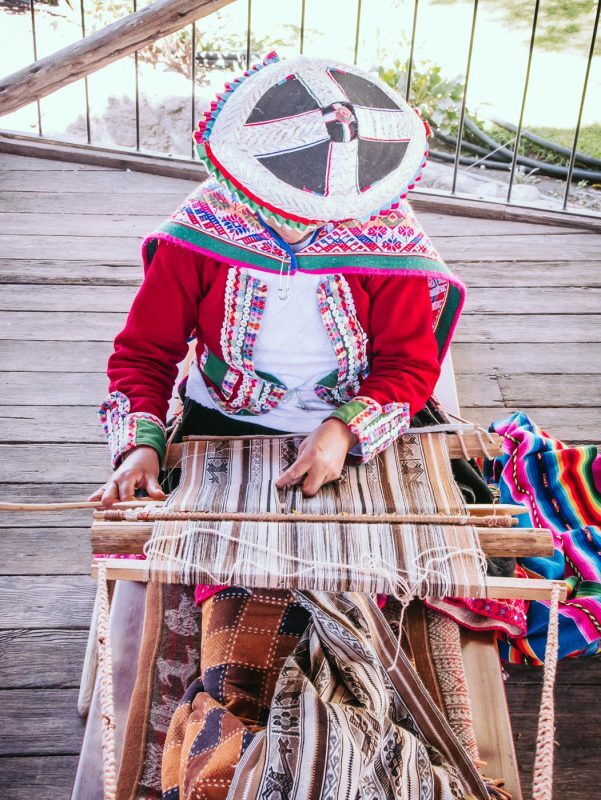 You can see local artisan women from a nearby village working on weaving fabric. Do leave a tip if you take photos, it helps support their village. I asked the lady how long it took to weave the fabric and she said it took a month to weave 2 meters. At that rate, the prices for these pieces become totally understandable. 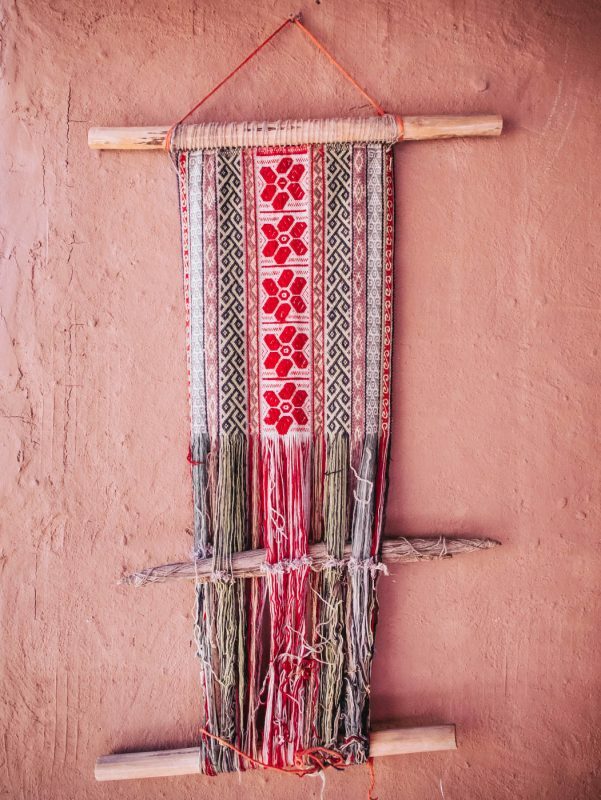 Peru is very affordable which makes it possible to afford some of these finer crafts. If you want to budget for your trip to Peru, here’s a site that can help you with that. 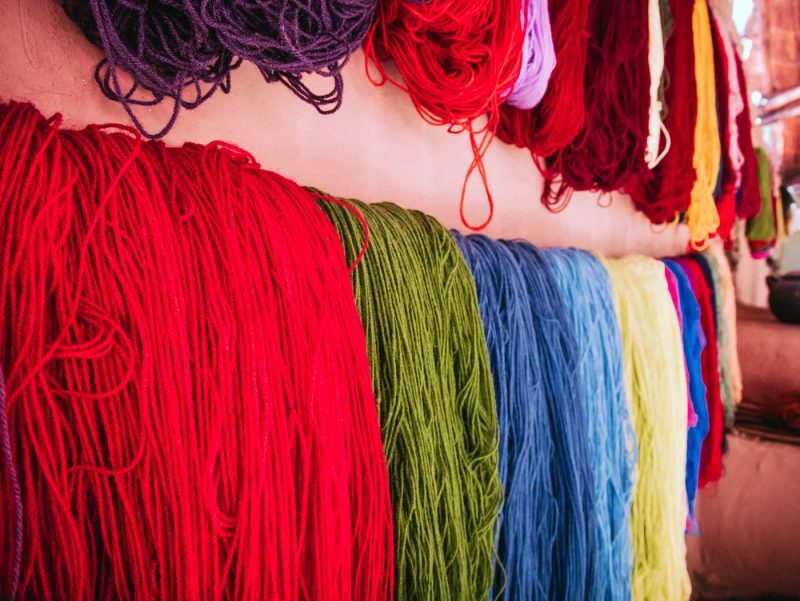 On the opposite side of the room, you can see the colored yarns and the kinds of materials used to dye them. 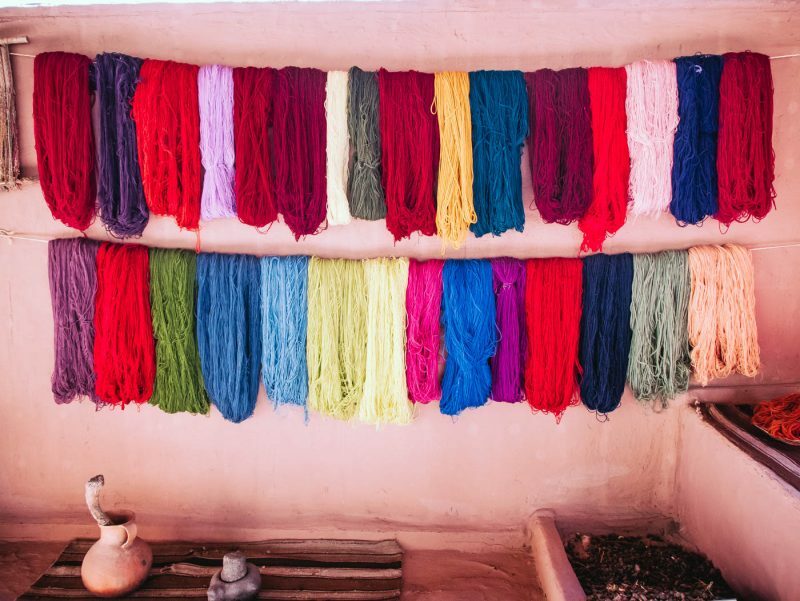 I love the colors of all the beautiful bright yarn hanging on the walls. Further down if you wind around, you can also take a look at some of the machinery used in mills. 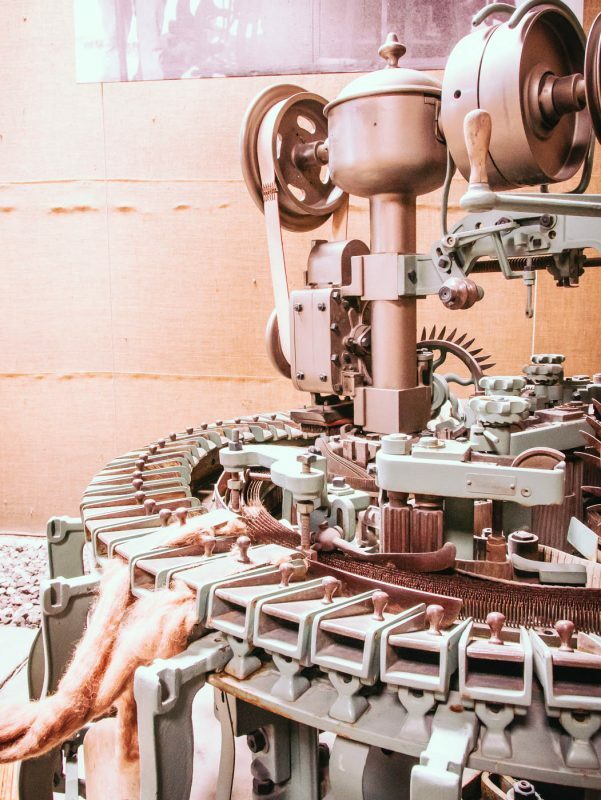 Mundo Alpaca has a wide variety of machines used to process, clean, card, spin and weave the alpaca fibers. Less colorful but still quite interesting. Don’t forget to catch these tapestries that were hanging on the wall, such beautiful work. So is Mundo Alpaca worth it? 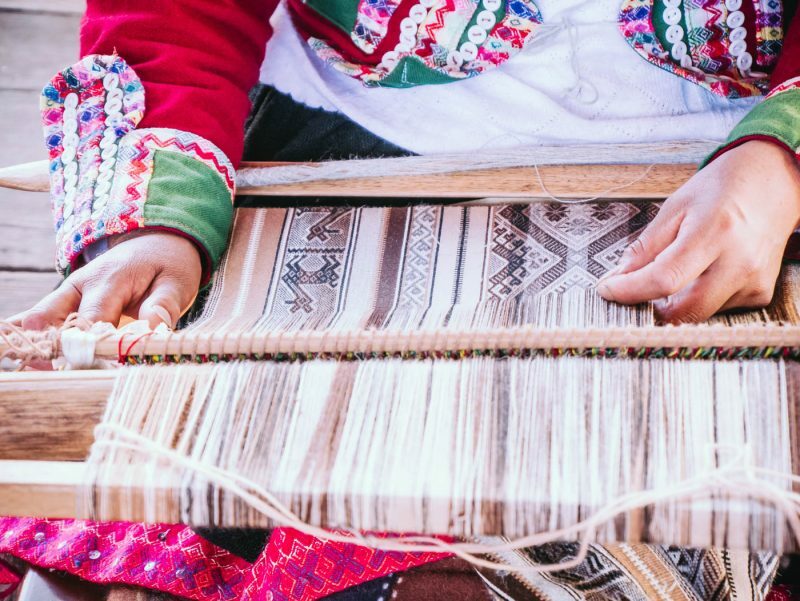 Well it’s free, and it’s a nice way to see the process of creating these clothes and accessories you’ll see all over Peru. There are some beautiful colorful displays to shoot, and of course a great chance to see the alpacas and llamas up close. Hope you enjoy it!